I was having trouble deciding whether to include Herve Tullet’s Press Here this month. Does it count as interactive? There’s nothing weird about it production-wise. You don’t have to put it together or unfold it or lift flaps or anything like that to make it work. It’s just pages bound together with a regular spine and a regular cover. How did that second yellow dot get there?! You did it. 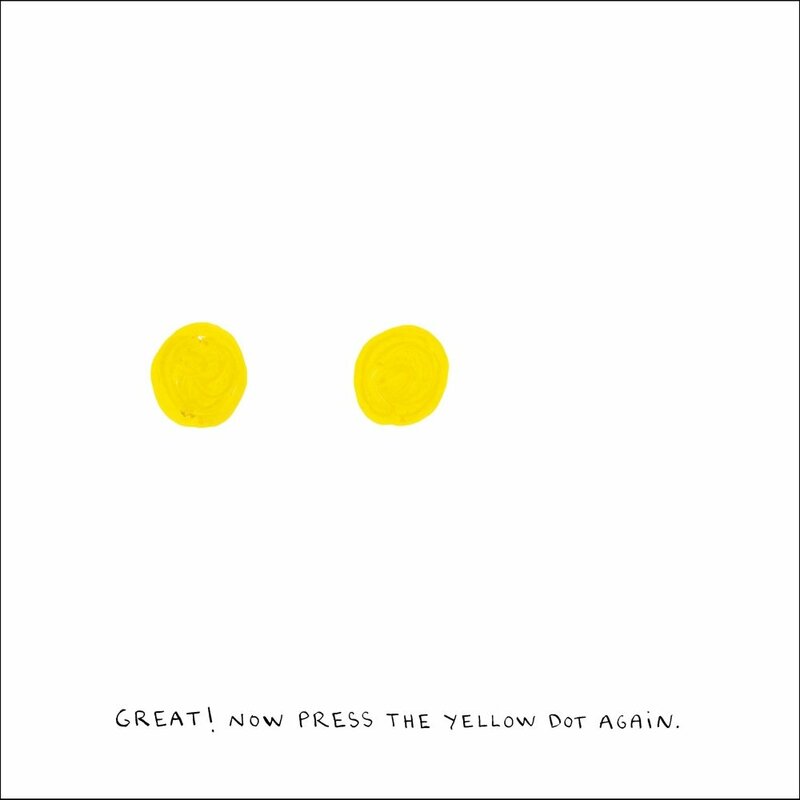 You made that yellow dot appear. 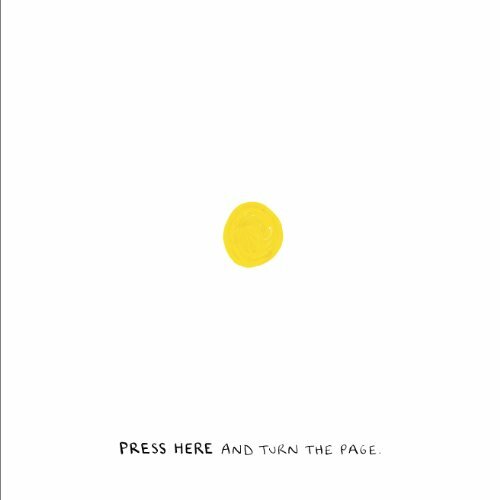 And you can make more things happen if you press on (get it?!??? knee slapper). So yeah. I think this codex counts as interactive. It’s a brilliant reminder that readers make books happen. This entry was posted in Uncategorized and tagged Books & Books, books you can do, french people make the prettiest books, herve tullet, interactive books, kidlit, press here, the codex. Bookmark the permalink.